A beautiful woman meets a couple in a hotel parking lot by the sea. They are there to assist with her suicide. A kinetic concierge will be their witness. 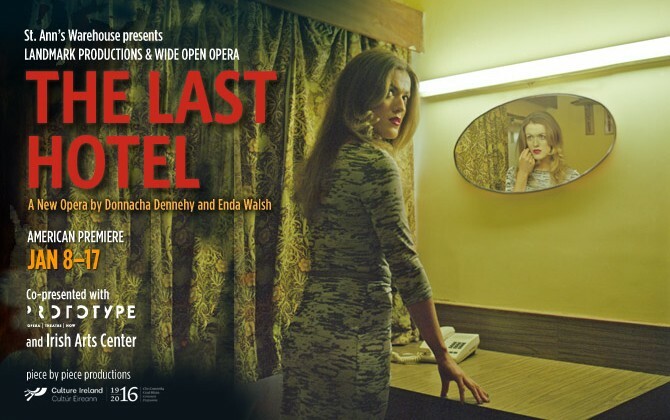 Enda Walsh’s first opera finds humor in both the banal and the dire — from the mundane everyday to choices of life vs. death, and Donnacha Dennehy’s thrumming, pulsating score hopscotches between delicacy and intensity in the raw, tender The Last Hotel. Following the 8 PM performance please join us for a talk back with Composer Donnacha Dennehy, Actor Mikel Murfi, and Conductor Alan Pierson. André de Ridder will conduct performances on JAN 8, 9 and 10. Alan Pierson will conduct performances on JAN 12, 15, 16 and 17. 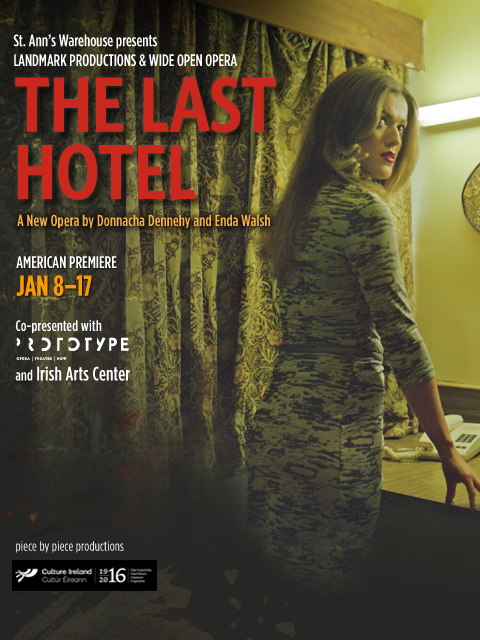 The Last Hotel is supported by piece by piece productions, The Arts Council Ireland and Culture Ireland.